Recently I got an e-mail saying Creative Love Letter, when I saw the mail I had some preconceived notion about it, that it will have same things what love letter always has with few changes here and there but seriously to my surprise when I saw the letter it was simply mind boggling. Yes it has same things what a love letter should have but the differentiation point is, the writer got tag lines of different brands together and made a love letter. 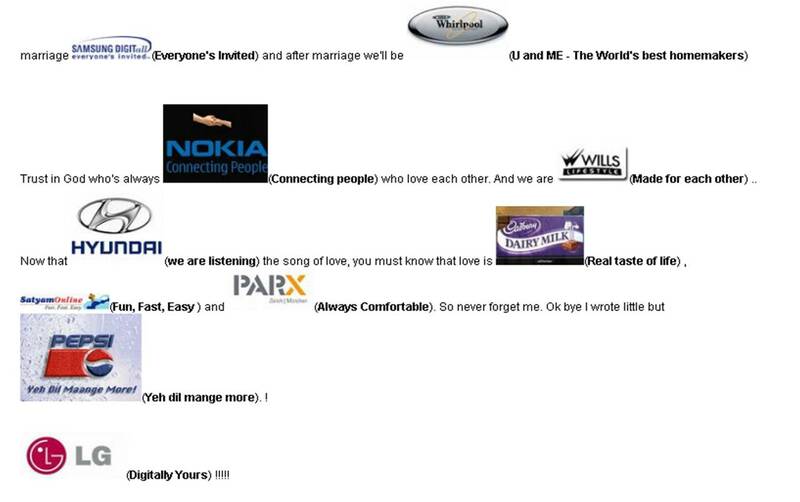 He has written a love letter or a letter about love bringing together different tag lines. 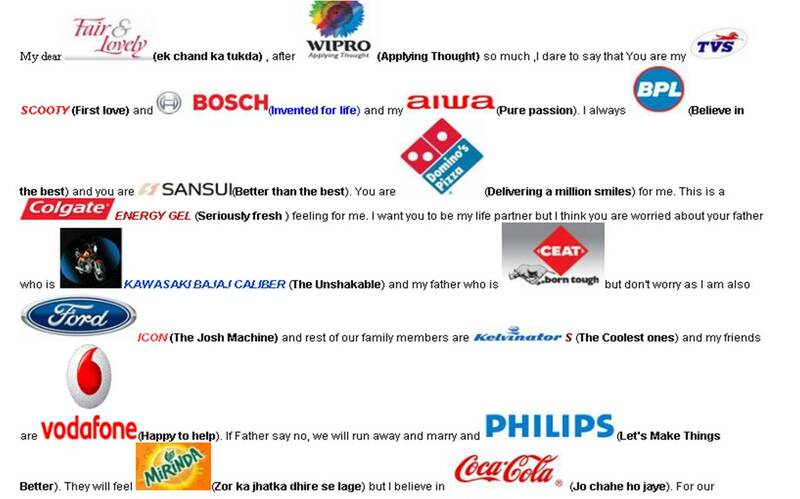 Few tag lines are not currently used by these brands nonetheless what a connection he has made. As this blog is all about brands, I thought I should share the love letter with you guys. The writer is unknown for me but I can see he is mad over brands.